In energy, there is only one end game: transitioning our planet away from fossil fuels to a resilient, renewable energy system that reliably provides energy with little to no impact to the environment. How we get there is an entirely different matter, and there are a number of competing ideologies and methods to accomplish this audacious but necessary goal. 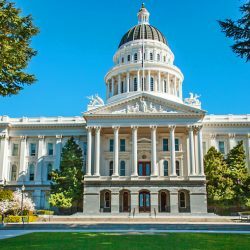 Assembly Bill 813 (AB 813), which is rapidly advancing through the California Legislature, would create a regional transmission organization (RTO) overseeing energy development and transfers between California and other Western states. The World Business Academy agrees with San Diego 350, former CPUC President Loretta Lynch, the Sierra Club, Clean Coalition and others that such an arrangement would slow California’s progress toward clean energy development, impair California’s control over its statewide grid, and could slow or reverse California’s aggressive environmental policy goals toward a renewable energy system favoring local renewable energy resources. Proponents say the bill would allow California to secure renewable energy more easily during peak hours when there isn’t sufficient in-state energy available. The theory is that an expanded multi-state grid could draw upon a variety of renewable power sources that can supply energy at all hours through transmission over hundreds of miles. Proponents also point to increasing curtailment (i.e., throwing away) of excess renewable energy as a rationale for building a regional grid. But in fact, our grid can be modified to operate effectively through storage of excess renewable energy and we currently trade energy with neighboring states through an Energy Imbalance Market based on supply and demand, so why fix what isn’t broken? To be clear: the World Business Academy has no objection to building projects that generate and transmit “cheap” wind power from Wyoming and Texas, but let them finance and build these projects and pass the costs on to the end user. Creating an RTO will likely divert limited funds for building a costly transmission network indiscriminately paid for by all consumers. Wind and solar may be cheap at the point of origin, but the costs increase the farther away the energy is used. If consumers want “cheap” energy located outside California, then they should have to pay the associated delivery cost. And in this day and age, we also need to consider what would be the most likely target for terrorists: a microgrid where damage is limited to a very small area, or one or two in a series of isolated, vulnerable high-voltage transmission towers that could conceivably cripple the entire western United States? Such a system will also be vulnerable to disruption by extreme weather events that occurring more regularly with climate change and are a leading cause of wildfires in California. The World Business Academy believes the correct path is toward a decentralized system of distributed energy, managed in the form of interconnected microgrids, with planned excess energy stored seasonally using a variety of storage technologies. There is no logic in moving huge volumes of energy over hundreds of miles each and every day, when an equal or greater volume can be harvested and stored at or near the point of end use. In short, AB 813 would erode California’s energy autonomy and divert precious resources and funding from California’s goal of developing a distributed energy network of microgrid systems. We all want to adapt to, and survive, the threats posed by accelerating climate change. A multi-state regional grid is a massive infrastructure project that will likely take at least a decade to build and likely become unnecessary when other states fully develop their own renewable infrastructure and no longer need large volumes of energy over state lines. California should have the autonomy to forge its own path and not be saddled with a risky and expensive regional transmission project that will likely result in excessive charges to consumers. It would be much more effective, cost-efficient and safer to start building local microgrids now, starting right here at home. Please join the World Business Academy in opposing AB 813 and supporting efforts to make Santa Barbara “Reliable, Resilient, and Renewable,” (SBR3). The goal of SBR3 is to create an efficient and resilient networked microgrid energy system using local renewable energy resources for communities in southern Santa Barbara County. Learn more about the Santa Barbara Microgrid project. Want to learn more about the argument for distributed energy resources over regionalization?